Abraham Loeb is the Harvard University astronomer who made headlines recently when he suggested that the space object known as 'Oumuamua might have been part of an alien spacecraft. 'Oumuamua was believed to have come from outside of the solar system because its trajectory showed it was not gravitationally bound to the sun—also, it traveled faster than traditional space objects. In this new effort, Loeb and his undergraduate assistant Siraj claim to have found evidence of another object from outside of the solar system. Loeb and Siraj had reasoned that space objects traveling faster than normal might be evidence enough of an extrasolar visitor. That led to them to perform searches in the Center for Near-Earth Object studies database for objects that traveled faster than normal. They report that they found three hits, two of which they dismissed because of incomplete data. 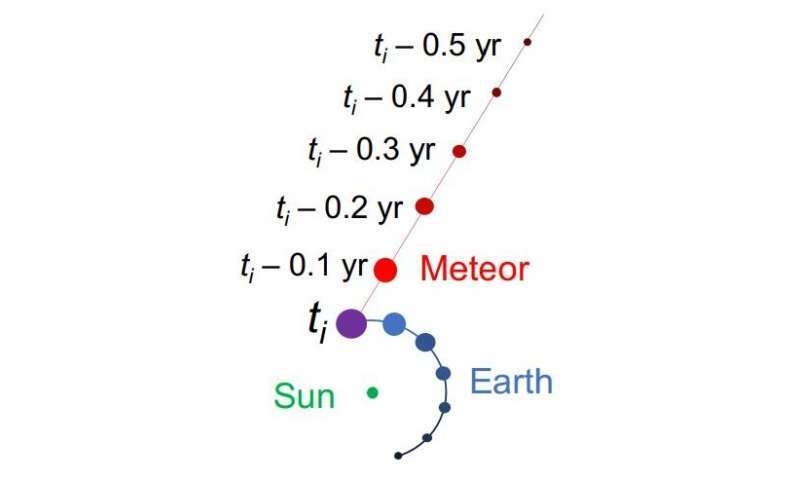 The third described a meteor that was believed to be slightly less than a meter wide that had been observed disintegrating in the atmosphere on January 8th, 2014, at a height of 18.7 kilometers near Papua New Guinea. Its speed had been measured by a government sensor at 216,000 km/h. By looking at its trajectory and tracing backward, the researchers report that it likely came from somewhere outside of our solar system. If the evidence pans out, the sighting would be the first known instance of an extrasolar object striking the Earth. The researchers suggest that the object's high speed indicates that it was likely flung out of another star system. And if that were the case, it would have been reasonably close to its star at some point, deep in the interior of a planetary system—perhaps in its "Goldilocks zone," which means there was some chance it carried life. The researchers have written a paper describing their findings, which they have submitted to The Astrophysical Journal Letters. A lot of ado about a lot of "a, duh": the observations set rate limits. "Billiuns and billiuns" of objects! This suggests each nearby star might gravitationally sling about 60 billion trillion such rocks from its system, equal to about 0.2 to 20 times the mass of Earth. Ten billion trillion is "roughly the number of stars in the observable universe," Loeb said."